Typically, bad tenants will target owner-managed rentals because they can't pass muster with property managers. They know that when a property is for rent by owner the rent will be less and there will be less scrutiny of their financial situation. Bad tenants can't be evicted without notice and an eviction can take months and cost you money. Property managers will track references and do their utmost to avoid potential bad tenants and associated eviction problems. Can you pay monthly bills for me and when will I receive my check? We can pay any bill associated with your property including utility, maintenance, taxes, insurance or mortgage payments. Funds are sent to the owner after the funds have been received from the tenant. Any funds available after paying all necessary billings are sent to the owner or owner's bank typically within two business days after the rent has been received. Yes, a comprehensive and easy to read accounting report detailing all income and expenses will be sent to you each month along with a copy of any repair, maintenance, utility or other billing. In addition a year end statement is prepared for you in January for your tax records. How can a professional property manager help me? If you own a home or rental unit, rental property management might be a smart way to manage today’s tricky market. 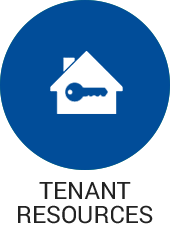 Rental property management allows a property owner the benefit of retaining the equity of the property while avoiding the time-consuming and often laborious duties involved with keeping an investment property performing well. Hiring a manager for the rental property means being guaranteed the daily tasks of maintaining the property are in the hands of a professional. For example, a professional property manager will handle communicating and interacting with current and prospective tenants and contractors hired for maintenance. In addition, a rental property manager will also handle the financial responsibilities of the property including collecting rent and fees, accounting, budgeting and invoices; he or she will also keep records of all administrative and financial information, and keep taxes, mortgages, and insurance up to date. Moreover, marketing, showing vacant spaces, and leasing all fall under a manager’s responsibilities as well as maintaining the building’s operations. 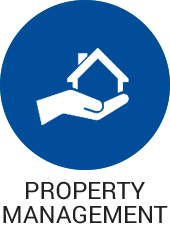 In short, professional property management is an easy solution for property owners who have neither the time or experience to successfully manage their investment property. How do you determine the rental amount? Rent amounts are determined by finding the "fair market" rent value of comparable properties in the neighborhood. 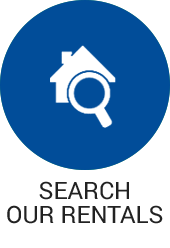 We do extensive research using internet, other property management companies and our own expertise to provide the rental rate recommendation to you. It is our opinion that it is best to rent a house right at or slightly below the fair market rent, by doing so we will frequently have more applications to consider and rent the property more quickly. It is impossible to predict exactly how long it will take to find qualified applicants for your property but a correctly advertised, priced and presented property greatly increases the chance it will rent in the first 2-3 weeks with a goal of no more than 30 days on the market. A number of factors are involved including the size, location, amenities, overall condition of the property, time of year, and the rental price relative to that of comparable properties in the neighborhood. Pricing your property competitively and having your property in the best condition possible are crucial to effective marketing. When it comes to setting a monthly rental rate for your house, there is a basic equation to follow- you want to make the most money with the least amount of effort. Establishing the ideal rental amount without having vacancies is crucial to making a profit in this equation. There are factors that will influence the rental price you are able to set for your house, and the most important of these is location. If your house is close to where people want to be (such as a college or university, major shopping area, or office park), or close to a major transportation venue (such as a subway, city bus, or train) you will have the best chance of collecting a higher rent. However, if there are many rental units in this same area, you have to make sure your rental price is competitive. The opposite can also be true- if your home is in a less than ideal location, you may have to lower your rate to attract tenants. Is there anything that needs to be done to make my property rent ready? The better condition a property is in, the faster it will rent and better quality tenants it will attract. If needed we recommend that the interior be painted or at least touched up, that the carpets, window coverings, floors, fixtures and appliances are clean and that all needed repairs be made, front and back yards mowed, trimmed, edged and free of weeds. After price, the most important controllable factor in renting a property is condition. We would be happy to offer suggestions to you to help you make the property look great. Our company is full service and provides all the vendors needed to get your property rent ready. A critical element of successful property management is compliance with laws and regulations set forth by your individual state and by the federal government. However, even having the most knowledgeable and experience property manager at your disposal, or being an experienced real estate investor yourself, doesn’t make you immune to problems. In certain situations, you may benefit from a lawyer’s assistance, whether it is for representation in a lawsuit or simple advice. Usually these situations have to do with general property management and the law. Many real estate developers, investors, and owners of various residential properties do not have the required time or knowledge that is needed to manage these properties. In many situations, these people hire property management firms or property managers to take on these responsibilities. 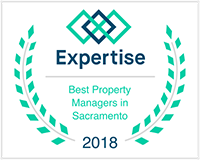 Because property management involves many aspects of maintenance, the background of property managers is quite varied everything from financial duties to maintenance and operations. There are going to be many items which will be important to consider when it comes to a property manager, some of which include: How much experience does he/she have in property management? What insurance, state licenses and credentials does the property manager have? Does he/she have experience in complying with housing regulations (such as the Americans with Disabilities Act)? Does he/she have proper qualifications and knowledge to handle book keeping and accounting information? What expenditures will be included in the property manager’s fee (such as advertisements for vacant properties)? Full service property management generally includes all or most of the following responsibilities: acting as the first point of contact for tenants, building workers and maintenance contracts as well as maintaining professional relationships with an accountant, insurance agent and attorney if necessary; advertising, marketing, showing available space and leasing the property; interior and exterior maintenance-- whether it be the actual upkeep or coordinating contracts for needed work and services; collecting rent and fees from tenants; coordinating contracts, issuing purchase orders, paying invoices, purchasing supplies, and general accounting and banking needs; helping create, maintain and follow a budget for both short term and long term goals (ie. capital improvements); and administrative tasks like reporting and record retention which might include income statements, annual reports, rent roll, occupancy reports, historical records and file backups of online systems. Essentially, property management services provide all of the needed functions to run a property or real estate portfolio without involving the owner. 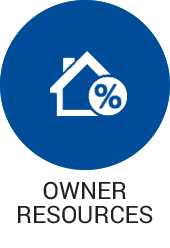 This allows owners to completely hand over the responsibilities of owning a rental property, while still maintaining the financial benefits of the investment. The security deposit is not income and in accordance with state law all deposits are held in a non-interest bearing trust account. Rent due, damage expenses beyond normal wear and tear, and cleaning costs are deducted from the security deposit with the balance returned to the tenants within 21 days of the tenants vacating the home.